Due to the importance that the First Vision is given by the Latter-day Saints, records that fill in the details of this experience are precious to believers. 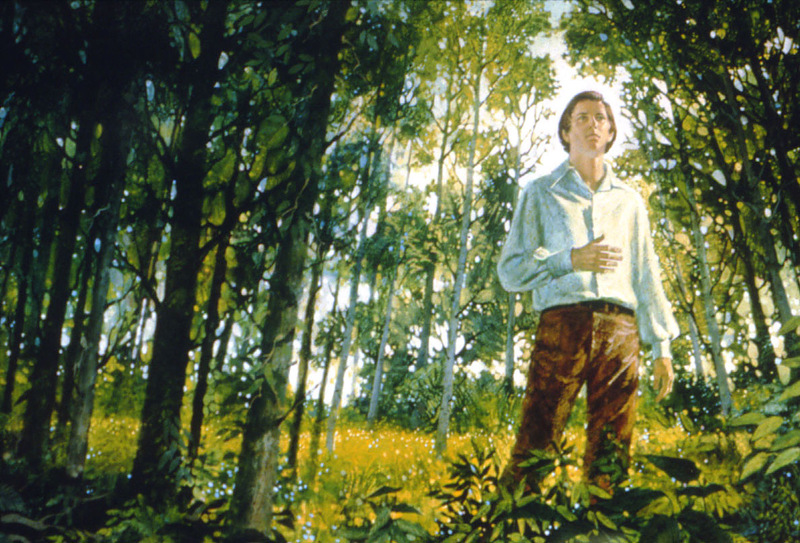 Luckily, it seems that Joseph Smith related the story of his First Vision many times throughout his life. Orson Pratt recalled in 1859 that, “I have often heard him [Joseph Smith] relate it” (JD 7:220-221). Journals and reminisces from the era give us a few such accounts, filling in details and helping us to understand that the how the early Saints reacted to the Vision. 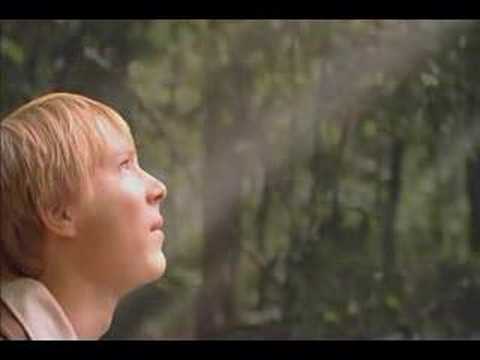 The First Vision in the Movie Joseph Smith: Prophet of the Restoration. Courtesy LDS.org. The reminiscence was written… some fifty years later, and on this issue it runs directly counter to all contemporary evidence. No one questions the personal integrity of Stevenson, but it is likely that after fifty years his memory played tricks on him by combining things he heard in one period with things he heard at other times. Another possibility is that he heard Joseph relate the account privately, to a select group, even though he was not proclaiming it publicly (Emergence 44-45). The fact that Stevenson may have confused when or where he heard about the First Vision serves to underscore the fact that contemporary accounts—that is, accounts written by Saints during Joseph Smith’s lifetime—are far more valuable to us. Fortunately, we have five known to us at this point, which provide us with several important details—the Orson Pratt account, the Orson Hyde account, the Alexander Neibaur account, the David Nye White account, and the Levi Richards account. Although the Orson Pratt and Orson Hyde accounts were published first, we will save discussion of those accounts for later on, due to their length. 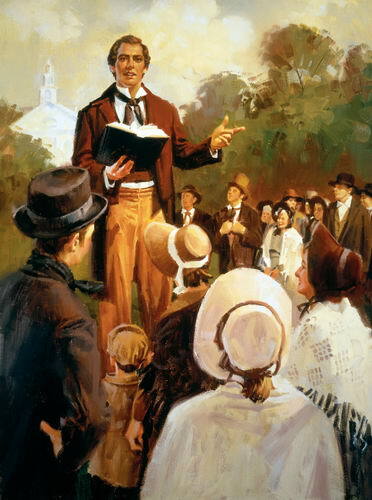 We only have one contemporary account mentioning Joseph Smith preaching about the First Vision in public. Attended Meeting at the Temple weather vary fine moderately warm. heard J. Smith preach from Math “Oh Jerusalem Jerusalem &c, how oft would I have gathered you, as a hen gathereth her chickens under her wings & Ye would not, behold your house is left unto you desolate &c Pres. J. Smith bore testimony to the same saying that when he was a youth he began to think about these things but could not find out which of all the sects were right he went into the grove & enquired of the Lord which of all the sects were right he received for answer that none of them were right, that they were all wrong, & that the Everlasting Covenant was broken==he said he understood the fulness of the Gospel from beginning to end—& could Teach it & also the order of the priesthood in all its ramifications==Earth & hell had opposed him & tryed to destroy him, but they had not done it==& they never would (Cited in Cook, Kindle Location 4256-4263). The primary significance of this account is, as mentioned above, that it is the only time we know Joseph mentioned the vision in public discourse. There is little new information presented, but it is nice to have another account of the vision, as brief as it is. 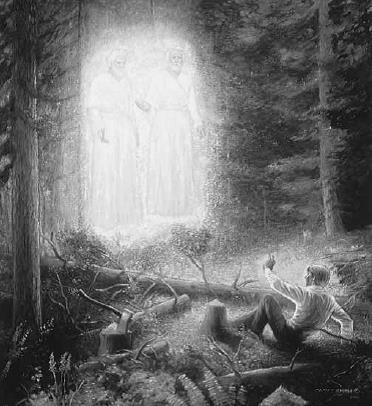 I heard him [Joseph Smith] relate his first vision when the Father and Son appeared to him; also his receiving the gold plates from the Angel Moroni. This recital was given in compliance with a special request of a few particular friends in the home of Sister Walton, whose house was ever open to the Saints. While he was relating the circumstances the Prophet’s countenance lighted up, and so wonderful a power accompanied his words that everybody who heard them felt his influence and power, and none could doubt the truth of his narration (Cited in Madsen 90). Note that this narration occurred by special request of friends in a house, rather than in an unprompted retelling in a public setting. Much like Edward Stevenson, the focus of this reminiscence is on the feelings of the meeting rather than the words spoken, but it helps us get a feel for the settings Joseph felt comfortable speaking of the sacred experience of his youth. Edward Stevenson, Levi Richards, and Alexander Neibaur. After Dinner . . . called at BR. J.S. met Mr. Bonnie. Br. Joseph tolt us the first call he had a Revival Meeting, his Mother, Br. and Sisters got Religion. He wanted to get Religion too, wanted to feel and shout like the rest but could feel nothing, opened his Bible of the first Passage that struck him was if any man lack wisdom let him ask of God who giveth to all men liberallity & upbraideth not. Went into the Wood to pray, kneels himself Down, his tongue was closet cleaveh to his roof–could utter not a word, felt easier after awhile–saw a fire toward heaven came near and nearer; saw a personage in the fire, light complexion, blue eyes, a piece of white cloth Drawn over his shoulders his right arm bear after a while a other person came to the side of the first. Mr. Smith then asked, must I join the Methodist Church. No, they are not my People, have gone astray There is none that Doeth good, not one, but this is my Beloved Son harken ye him, the fire drew nigher, Rested upon the tree, enveloped him comforted I endeavored to arise but felt uncomen feeble got into the house told the Methodist priest, said this was not a age for God to Reveal himself in Vision Revelation has ceased with the New Testament (Neibaur; Allen Eight 12). Most of the details found in this account are found in the other First Vision accounts, though written in the sincere, unpolished style that one would expect from a humble man not used to writing in English. The most interesting and unique details here, however, are the description of the appearance of the personages—details not found in any other retelling of Joseph’s experience. Interestingly, other visionary accounts by Mormons also state that the Savior had blue eyes. For example, John Murdock recalled that during the School of the Prophets, after the Prophet promised them that they could see the Lord if they were worthy, “The visions of my mind were opened, and the eyes of my understanding were enlightened, and I saw the form of a man, most lovely, the visage of his face was sound and fair as the sun. His hair a bright silver grey, curled in most majestic form, His eyes a keen penetrating blue” (Cited in Brown and Smith 140, 165). In light of these interesting statements, it is fascinating to note that there is some evidence that the All-Seeing eyes on the Salt Lake Temple were originally painted blue (Brown and Smith 140). 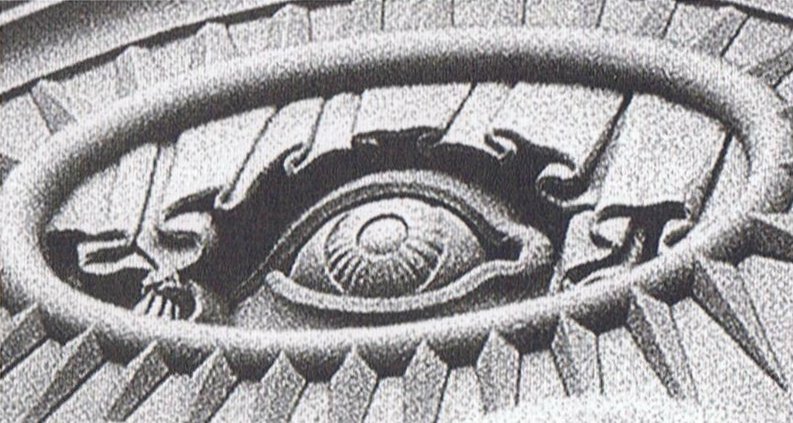 Similar to the description of the Personages given in Neibaur’s account, the All-Seeing Eye of the Salt Lake Temple was probably meant to be blue. While thinking of this matter, I opened the Testament promiscuously on these words, in James, Ask of the Lord who giveth to all men liberally and upbraideth not. I just determined I’d ask him. I immediately went out into the woods where my father had a clearing, and went to the stump where I had stuck my axe when I had quit work, and I kneeled down, and prayed, saying, O Lord, what Church shall I join? Directly I saw a light, and then a glorious personage in the light, and then another personage, and the first personage said to the second, Behold my beloved Son, hear him.–I then addressed this second person, saying, O Lord, what Church shall I join? He replied, “don’t join any of them, they are all corrupt.” The vision then vanished, and when I came to myself, I was sprawling on my back and it was sometime before my strength returned. When I went home and told the people that I had a revelation, and that all the churches were corrupt, they persecuted me, and they have persecuted me ever since (White). Again, most of the details are found elsewhere, except the description of the grove that is detailed enough to state that it was “the woods where my father had a clearing” and that he went “to the stump where I had struck my axe when I had quit work.” It must also be noted here, however, that while most of the accounts being presented in this post were written soon after the listener heard Joseph relate the experience, every one of these accounts have passed through the filters of what the writer heard, what stood out to them in their memory, as well as their own way of speaking of things. Journalists, for example, have somewhat of a bad reputation of editing and twisting words even with modern recording equipment. But, such sentiment can be applied to all secondary accounts, and thus, even contemporary accounts must be approached with caution. Mr. Joseph Smith, jun. who made the following important discovery, was born in the town of Sharon, Windsor county, Vermont, on the 23d December, A.D. 1805. When ten years old, his parents, with their family, moved to Palmyra, New York; in the vicinity of which he resided for about eleven years, the latter part in the town of Manchester. Cultivating the earth for a livelihood was his occupation, in which he employed the most of his time. His advantages for acquiring literary knowledge, were exceedingly small; hence, his education was limited to a slight acquaintance, with two or three of the common branches of learning. He could read without much difficulty, and write a very imperfect hand; and had a very limited understanding of the ground rules of arithmetic. These were his highest and only attainments; while the rest of those branches, so universally taught in the common schools, throughout the United States, were entirely unknown to him. When somewhere about fourteen or fifteen years old, he began seriously to reflect upon the necessity of being prepared for a future state of existence; but how, or in what way, to prepare himself, was a question, as yet, undetermined in his own mind. He perceived that it was a question of infinite importance, and that the salvation of his soul depended upon a correct understanding of the same. He saw, that if he understood not the way, it would be impossible to walk in it, except by chance; and the thought of resting his hopes of eternal life upon chance, or uncertainties, was more than he could endure. If he went to the religious denominations to seek information, each one pointed to its particular tenets, saying–“This is the way, walk ye in it;” while, at the same time, the doctrines of each were in many respects, in direct opposition to one another. It also occurred to his mind that God was the author of but one doctrine, and therefore could acknowledge but one denomination as his church, and that such denomination must be a people who believe and teach that one doctrine, (whatever it may be,) and build upon the same. He then reflected upon the immense number of doctrines, now in the world, which had given rise to many hundreds of different denominations. The great question to be decided in his mind, was–if any one of these denominations be the Church of Christ, which one is it? Until he could become satisfied in relations to this question, he could not rest contented to trust to the decisions of fallible man, and build his hopes upon the same, without any certainty, and knowledge of his own, would not satisfy the anxious desires that pervaded his breast. To decide, without any positive and definite evidence, on which he could rely, upon a subject involving the future welfare of his soul, was revolting to his feelings. The only alternative, that seemed to be left him was to read the Scriptures, and endeavor to follow their directions. He, accordingly commenced perusing the sacred pages of i;he Bible, with sincerity, believing the things that he read. His mind soon caught hold of the following passage:–“If any of you lack wisdom let him ask of God, that giveth to all men liberally, and upbraideth not; and it shall be given him.”-James 1:5. From this promise he learned, that it was the privilege of all men to ask God for wisdom, with the sure and certain expectation of receiving liberally; without being upbraided for so doing. This was cheering information to him; tidings that gave him great joy. It was like a light shinning forth in a dark place, to guide him to the path in which he should walk. He now saw that if he inquired of God, there was not only a possibility, but a probability; yea, more, a certainty, that he should obtain a knowledge, which, of all the doctrines, was the doctrine of Christ; and, which of all the churches, was the church of Christ. He therefore, retired to a secret place in a grove, but a short distance from his father’s house, and knelt down, and began to call upon the Lord. At first, he was severely tempted by the powers of darkness, which endeavored to overcome him; but he continued to seek for deliverance, until darkness gave way from his mind, and he was enabled to pray in feverency of the spirit, and in faith. And while thus pouring out his soul, anxiously desiring an answer from God, he at length, saw a very bright and glorious light in the heavens above; which, at first, seemed to be a considerable distance. He continued praying, while the light appeared to be gradually descending towards him; and as it drew nearer, it increased in brightness and magnitude, so that, by the time that it reached the tops of the trees, the whole wilderness, for some distance around was illuminated in a most glorious and brilliant manner. He expected to have seen the leaves and boughs of the trees consumed, as soon as the light came in contact with them; but perceiving that it did not produce that effect, he was encouraged with the hope of being able to endure its presence. It continued descending slowly, until it rested upon the earth, and he was enveloped in the midst of it. When it first came upon him, it produced a peculiar sensation throughout his whole system; and immediately, his mind was caught away, from the natural objects with which he was surrounded; and he was enwapped in a heavenly vision, and saw two glorious personages, who exactly resembled each other in their features or likeness. He was informed that his sins were forgiven. He was also informed upon the subjects, which had for some time previously agitated his mind, viz.–that all the religious denominations were believing in incorrect doctrines; and consequently, that none of them was acknowledged of God, as his church and kingdom. And he was expressly commanded, to go not after them; and he received a promise that the true doctrine–the fulness of the gospel, should, at some future time, be made known to him; after which, the vision withdrew, leaving his mind in a state of calmness and peace, indescribable (Cited in Cheesman 113-116). Orson Pratt and Orson Hyde left similar accounts of the First Vision. Joseph Smith, Jr., to whom the angel of the Lord was sent first, was born in the town of Sharon, Windsor County, Vermont, on the 23rd of December, 1805. When ten years old, his parents with their family, moved to Palmyra, New York, in the vicinity of which he resided for about eleven years, the latter part in the town of Manchester. His only activity was to plow and cultivate the fields. As his parents were poor and had to take care of a large family, his education was very limited. He could read without much difficulty, and write a very imperfect hand; and had a very limited understanding of the elementary rules of arithmetic. These were his highest and only attainments; while the rest of those branches, so universally taught in the common schools throughout the United States, were entirely unknown to him. When some where about fourteen or fifteen years old, he began seriously to reflect upon the necessity of being prepared for a future state of existence; but how, or in what way to prepare himself, was a question, as yet, undetennined in his own mind; he perceived that it was a question of infinite importance. He saw, that if he understood not the way, it would be impossible to walk in it, except by chance; and the thought of resting his hopes of eternal life upon chance or uncertainties, was more than he could endure. He discovered a religious world working under numerous errors, which through their contradicting nature and principles, gave cause to the organization of so many different sects and parties, and whose feelings against each other were poisoned through hate, envy, malice and rage. He felt that there should be only one truth, and that those who would understand it correctly, would understand it in the same manner. Nature had gifted him with a strong, discerning mind and so he looked through the glass of soberness and good sense upon these religious systems which all were so different; but nevertheless all drawn from the scripture of truth. After he had sufficiently assured himself to his own satisfaction that darkness was covering the earth, and gross darkness the minds of the people, he gave up hope ever to find a sect or party that was in the possession of the pure and unadulterated truth. He accordingly commenced persuing the sacred pages of the Bible with sincerity, believing the things that he read. His mind soon caught hold of the following passage–“If any of you lack wisdom, let him ask of God, that giveth to all men liberally and upbraideth not; and it shall be given him.”–James I:5. From this promise he learned that it was the privilege of all men to ask God for wisdom, with the sure and certain expectation of receiving liberally, without being upbraided for so doing. And thus he started to send the burning desires of his soul with a faithful determination. He, therefore, retired to a secret place, in a grove, but a short distance from his father’s house, and knelt down and began to call upon the Lord. At first, he was severely tempted by the powers of darkness, which endeavoured to overcome him. The adversary benighted his mind with doubts, and brought to his soul all kinds of improper pictures and tried to hinder him in his efforts and the accomplishment of his goal. However, the overflowing mercy of God came to buoy him up, and gave new impulse and momentum to his dwindling strength. Soon the dark clouds disappeared, and light and peace filled his troubled heart. And again he called upon the Lord with renewed faith and spiritual strength. At this sacred moment his mind was caught away from the natural objects with which he was surrounded, and he was enwrapped in a heavenly vision, and saw two glorious personages, who exactly resembled each other in their features or likeness. They told him that his prayers had been answered, and that the Lord had decided to grant him a special blessing. He was told not to join any of the religious sects or any party, as they were all wrong in their doctrines and none of them was recognized by God as His Church and kingdom. He received a promise that the true doctrine–the fulness of the gospel–should, at some future time, be made known to him; after which, the vision withdrew, leaving his mind in a state of calmness and peace indescribable (Cited in Cheesman 158-160). There are, all together, the five known contemporary accounts of the First Vision. Two were published by Mormons during Joseph Smith’s lifetime—Orson Pratt and Orson Hyde’s missionary tracts—while one was published by a non-Mormon named David Nye White. Two others come down to us from journals, one—Alexander Neibaur’s entry—records a personal conversation held after dinner, while the other—Levi Richard’s record—tells of a public discourse where the Prophet bore witness of the vision. These records are slightly less reliable than accounts written by Joseph or under his supervision, but still give us important details that would otherwise be unknown, and may have greater confidence placed in them than later recollections. Thus, these valuable documents help us to gain a deeper understanding of Mormonism’s founding story. Harston’s After the First Vision painting. Brown, Matthew B. and Paul Thomas Smith. Symbols in Stone. American Fork, Utah: Covenant Communications, 1997. Cook, Lyndon W. (2009-09-03). The Words of Joseph Smith (Kindle Locations 4256-4263). Deseret Book Company. Kindle Edition. Neibaur, Alexander. Journal of Alexander Neibaur, 24 May 1844. TS. LDS Church Historical Department, Salt Lake City, Utah. Stevenson, Joseph Grant. “The Life of Edward Stevenson,” (M.A. thesis, Brigham Young University, 1955). White, David Nye, “The Prairies, Joe Smith, the Temple, the Mormons, &c.,” Pittsburgh Weekly Gazette, 14 Sept. 1843. Where did you come about the picture of the Jerry Harston painting at the end of your article? I have never seen it before. Do you own the painting? You know, I haven’t thought about that in years, so I can’t remember off the top of my head. I think I got it out of an old Improvement Era or from LDS.org. It’s available at https://www.josephsmith.net/exhibit/js-the-first-vision?lang=eng&_r=1#mv17. Thanks! I recently saw the painting for sale and really loved it. I’ve been trying to find out more about it, but with little luck. Thanks for looking into it!